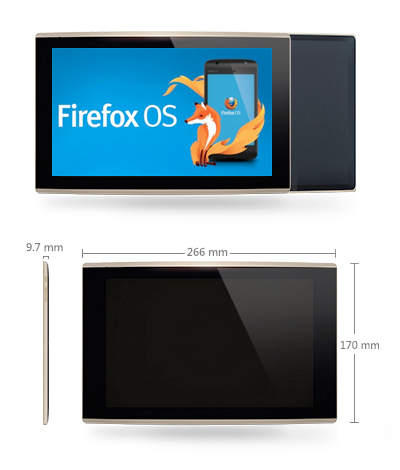 It looks like Mozilla has decided to wide with FirefoxOS. After phones, and smart TVs, now, its Tablet time. If the leaks are to be believed, Foxconn has built the first prototype of tablet powered by FirefoxOS. If we look at the specs, the tablet is designed for emerging markets which is very huge. Powered by 1GHz quad core processor, the prototype poses with 10-inch, 1280 x 800 display, 2GB of RAM, and 16GB of internal storage. For image look at the source. Next story Clear Console, an Extension to Clear Background Data from Mozilla Firefox with One Click. Previous story Open Broken Links, Plain Text Links in New Tab with URL Link for Firefox. Get Gmail Notification with Message Preview in Mozilla Firefox with Gmail Notifier Addon. Mozilla Gyan for Privacy and Tips.